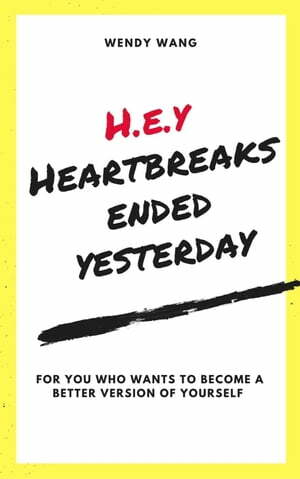 Collins Booksellers - H.E.Y( Heartbreaks Ended Yesterday) by Wendy Wang, 9789671561409. Buy this book online. If you are sick with where you are in life and you would like to change to become better but is clueless with how you can do it then, this book is for you. It is short and simple (straight to the point) so you can get the best information within the shortest time. The title says it all. Heartbreaks Ended Yesterday- the author hopes that her readers will stop punishing themselves for the mistakes they've made in life and start living their dreams. In this book, the author shares the most common problems that we all face in lives and how we can overcome them. In conclusion, this book is suitable for anyone who wants to become the better version of themselves.